The natural personal care is beset with a bevy of certification options for products, all proclaiming products to be pure, clean, and healthy. The state the industry has gotten to is that there is so much confusion over various ingredients, production methods and safety issues that no one seal covers it all. Every seal offers some level of assurance to customers, an extra bump of supposed confidence that you are purchasing something wholesome. We all want to feel good about what we're using and the fear generated by so many of the industry uncertainties regarding ingredient safety, true naturalness, labeling trickery and complications, and profiteering is indeed enough to make heads swim. There are many reasons why a company may choose to certify products and many reasons they may choose not to. Not every product lacking a seal is an uhealthy or "bad" choice. Not every product carrying a seal is the best item available. An intelligent consumer should be asking questions beyond the pretty icon adorning the products they purchase. 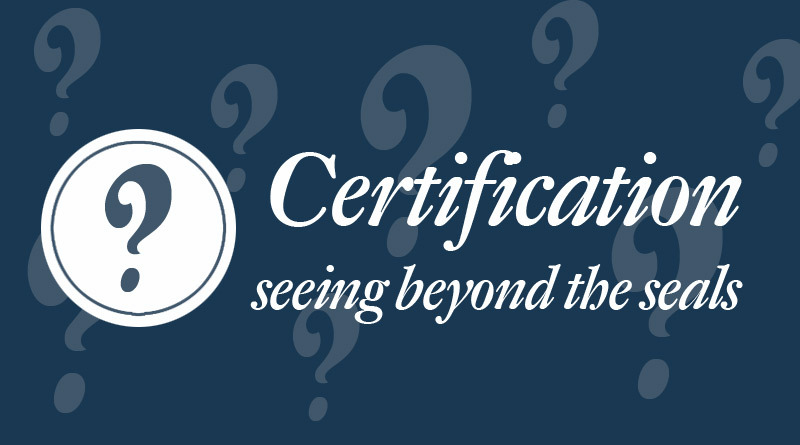 As an industry veteran of 10+ years that has seen the organic program evolve and various certifications rise, thrive, or fail and done a good bit of research into the pros and cons of each I'd like to illuminate some of the behind-the-scenes aspects of certifications. As a manufacturer I am all too aware that the certification process for any program also comes with fees for the participating company. Some are no tiny investment and can eat up a significant chunk of a small company's yearly revenues for nothing more than the right to use a logo on products. Certifications are simplifed statements for a flawed world in which we've reached the point where we have difficulty just trusting the companies that sell us the wares we use. Well+Good NYC is reporting that Non-GMO certification from the NonGMO Project is set to be the next certification label popping up on skincare and beauty products. You can check out their article on their site. If you read through you'll note that at the end of the article it says that "for a small, boutique beauty brand looking to get the label onto its five-ingredient product, the cost could be as low as a few hundred dollars." The first thing that pops into my mind reading this is that a typical Blissoma skincare recipe has 20 to 30 ingredients per formula. That's a lot more than 5. 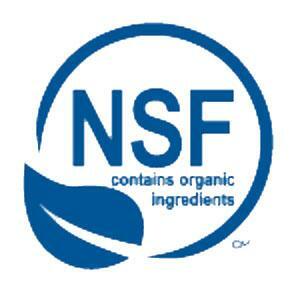 I know few skincare brands producing products with only 5 ingredients, namely our friends at S.W. Basics of Brooklyn who are focused on streamlined, minimalist formulations and do a good job of it. Blissoma works with synergies of herbs that all work towards common purposes, and we love including as many herbs in a product as makes sense to generate active levels, a pleasant feel, and achieve something that works for whatever purpose we're intending. Generally that number is somewhere between 8 and 15 herbs in any recipe then plus oils, emulsifiers, antioxidants, and our plant based, natural preservation. We currently have 15 skincare products and 6 more in the apothecary genre not counting perfumes. If a 5 ingredient product costs several hundred dollars to certify we'll guess they mean $200. We could extrapolate pretty fairly that a 20 ingredient product would cost at least $400 even if we don't multiply it out completely by the number of ingredients - maybe they give a volume discount. Multiply that times 21 products and you get a total bill of $8400. This is an estimate just based on the article, the dollar figured mentioned therein, and extrapolated by our product complexity and volume but it gives you some idea what the cost can be. That is currently as much as it would cost us to provide a company health insurance policy for 6 months. Or more than it could cost us to formulate and introduce a new product. Also more than it would cost us for most of the equipment upgrades we'd like to get to improve our operations. $8400 is nothing to sneeze at. While this is an insignificant cost to a large manufacturer it is prohibitive for a bootstrapped boutique beauty brand. 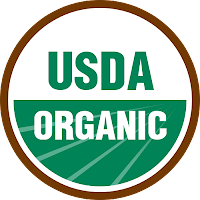 In fact this non GMO certification is a higher cost than what it would take for us to become a NOP Certified Organic Handler and have our facilities inspected and some of our products actually certified organic. Organic Certification the last time I checked had a base cost of about $2500 to 3000 for yearly inspections and audits. There's probably additional fees, but the inspection fee and the extra labor cost it would take us to manage the paper trail is why we haven't done that yet either. In fact the NonGMO site itself says many of its members first have an organic certification and then the NonGMO designation to go with it. I can't help but feel that the proliferation of certifications like this with price tags in the thousands of dollars represents less about purity issues and more about marketing. Only the big guys can afford to do it, and so it generates "confidence" in a product that may actually be fundamentally lower in medicinal, therapeutic quality and overall efficacy. Keep reading below for an easy food comparison that demonstrates what I mean by this. Because regardless of certification I know exactly how that retailer and the natural food industry in general works, and how many marketing dollars are built into every one of those already slim price tags. Free fill (where you give them initial stock for free), discounts, reps to service the stores, product demonstrations, samples, free shipping, etc.... If a product is only costing $15 to begin with and the manufacturer has to fit all those incentives into the WHOLESALE price of the product the sad reality is that you are probably paying more for the plastic bottle, pump, and label than you are for the product inside. There is just no room to pay for the best ingredients AND a hefty marketing budget, certifications, your employees, facilities, and all the other costs of doing business. I tried, and I am a crazy budgeter with real skills at running a thrifty operation. We couldn't do it, which is part of why we left that sales environment. You get what you pay for, and with some lines you are paying mostly for the certifications, packaging, distribution, and marketing and advertising. If it seems like the ingredients list is filled with fancy sounding actives but the product has a cheap price you should be asking questions and lots of them. There is very much such a thing as "too good to be true." There are a plethora of certification options available to those companies that can afford them. Shoppers are often confused about what various certifications mean and how natural or organic that really means the product is. If you happen to be interested in purchasing a product that has seals you need to interpret, then here is a primer with links to the associated websites. The USDA National Organic Program (NOP) - allows display of the familiar green organic seal for food and qualifying personal care products. There has been difficulty over time for many personal care products to fit into this standard as the shelf life expectancy is longer and "preservatives" are prohibited in organic products. Therefore products that fit into this model are made entirely of food ingredients and may include a lot of oil based products that do not require preservation against bacteria and molds. Dry products like powdered scrubs and masks can also work well for this standard. NSF/ANSI 305 - A standard developed for the "Made with Organic Ingredients" personal care products so that personal care specific ingredients and processes could be monitored and certified to a natural standard. This can work in conjunction with NOP certification. Natural Products Association Seal - a USA based "natural" certification for personal care products, developed in part because of the confusion over personal care not fitting well into the NOP standards. 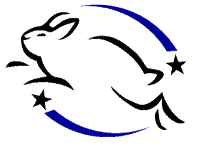 The Natural Products Association is a trade industry group so effectively this is a self-monitoring seal with standards determined by member companies. EcoCert - a European based standard for natural, organic, and ecological/sustainable products encompassing personal care, textiles, and farming. Products certified to Ecocert are considered Certified Organic in the EU. BDIH - a strict European standard for natural personal care and cosmetics, may include organic components or not but the entire product must be composed of BDIH approved natural/biological materials. Americans are generally unfamiliar with this particular certification despite it's respected status and strict requirements in Europe. Now we can add Non GMO Certified to this list. This certification means that even Certified Organic origin natural ingredients are tested for trace content of GMOs to ensure a lack of cross contamination of crops due to pollen drift or other issues. 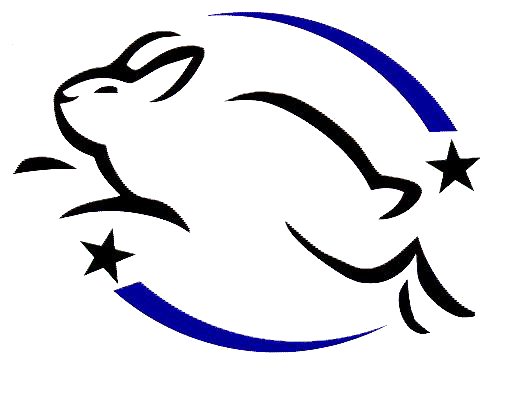 Certified Cruelty Free - a certification from the Leaping Bunny program that denotes no animal testing in any products or in supplier raw materials. 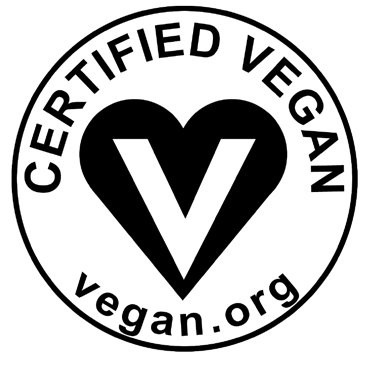 Certified Vegan - a certification from Vegan.org that designates that no animal ingredients are used in products and no animal testing has been performed. For standards not particular to personal care there is Fair Trade Certification, a great program, and Biodynamic Certification. You can see how the list starts to become a little dizzying. This is by no means an exhaustive list. There are groups like OASIS who tried to produce a meaningful standard but failed in part due to the fact that the board is made up of giant corporations like Aveda, Hain Celestial (owners of Alba, Avalon, Zia and more personal care brands), and L'Oreal in addition to some smaller natural companies. It is difficult to create a meaningful certification standard when your board is populated by the very people that are making money off of sliding toxic ingredients into so many products. No one really uses this seal and it fizzled almost as soon as it was written. For a small personal care producer the Cruelty Free certification and Vegan certifications are among the most approachable. The fees are less than $1000 and the paperwork achievable even with a modest staff. One has to send a lot of inquiries back and forth to ingredient suppliers requesting signatures and detailed process information to make sure no animal traces or testing is being included anywhere in their process but this can be accomplished in a matter of a month or 2. Many of the lovely, local farms I am near and eat food from are simply too small to afford organic certification. I eat their food anyway because I know the people that grew it and trust them. Their food is no less fundamentally clean just because they lack a seal. A seal can mean a lot or very little depending on the company that has gotten it and the product it is on. Seals are supposed to make it easier to do your shopping, but they are certainly not the last word in quality. Many ingredients coming from developing countries face challenges with certification. Years ago when I was starting you could not find a Certified Organic Shea Butter because all the indigenous villages producing it were too poor to pay the fees. It was only as bigger business moved in that a Certified Organic Shea Butter appeared for purchase. This sometimes disenfranchised village based producers as bigger companies took over their resources. The small producer's butter was not grown with pesticides - in most cases was completely organic but just not certified. 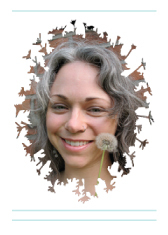 Many socially minded natural products companies like Moksa Organics have chosen to at times prioritize Fair Trade over Certified Organic ingredients when they are assured of the cleanliness of the ingredient despite a lack of certfication. This is because of the holistic benefit to the community through Fair Trade. You can read about their Shea Butter procurement process and the importance of the benefit of Fair Trade to some ingredients on their blog. Say you have a choice of eating a processed, frozen, packaged veggie burger made of altered grains, soy proteins, and other manufactured foods and eating a freshly prepared salad made from greens from a local, small, uncertified organic farm. One is decidedly more natural than the other, but the veggie burger can bear a seal while your salad will not. Which is higher in nutrients? Which is actually better for you? I think you know the answer. The less processed food, despite lacking a seal, is the better choice. But the veggie burger with its clever packaging, ease of use, and perhaps multiple seals assuring you it is tremendously wholesome makes a compelling case to the overwhelmed shopper. In the end it is up to the consumer to remain educated, dig deeply past marketing gimmicks, and look for real substance. No one can do that for you. Not even a seal or certification. What if you trusted the companies that made your products to be honest about what they make, seal or no? Now THERE is a revolutionary idea! The fundamental problem that seals attempt to address is a lack of trust and a lack of transparency. What if you could believe that the company you purchase from had your best interests at heart instead of their own pocketbooks? Not everyone is out to swindle or poison you and it is possible to find people that are genuinely making good, safe products. This is the importance of developing a relationship with the companies with whom you shop. The more personal you get the easier it is to see when claims seem a little hollow or things just don't add up. Are you supporting honest humans or a marketing machine? A seal won't tell you that. Blissoma believes in being super pure. We've made it our everyday business. It's why we produce our own herb extracts by hand to ensure a lack of added preservatives, it's why we make our own products in house, and it's why we buy from suppliers we trust. 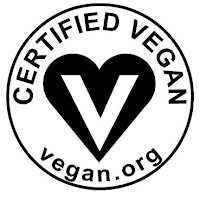 We are vegan and vegetarian, cruelty free, gluten free, petrochemical free, and more. We hope someday to bear at least one more certification seal - which one we haven't entirely decided yet, and since it's a pricey move we're going to wait until we're good and sure. Until then we're just concentrating on making a quality, clean product, which is what we'd be doing once we got the seal. It won't be a big change other than paperwork to file and a fee to pay. Seals and Certifications don't make a product or a company worth your dollar carte blanche. Look for forthright information, people you can hold accountable, honesty and authenticity first. If there's a seal, bonus! But the reason to support any particular company goes so much deeper than a cute icon on their packaging. But you're smart, so you probably knew that already. Thank you for this thought provoking post. Like you, I have seen a proliferation in these new certifications. Like you, I see their basic value. On the other hand, the sheer number of them seems to me to create consumer confusing in an of itself. I love this question from your post: "What if you trusted the companies that made your products to be honest about what they make, seal or no?" This is what IBN strives for -- to help members create the kind of trust that speaks volumes for itself. A kind of trust that is at the core of a relationship that can span years, not because of what logo may be in vogue at any given time, but because of the give and take that only comes when you life the logo to see what is behind it. I commend your company for creating products that support that kind of relationship. It's far more valuable than a seal.